Leaked iOS firmware has revealed a new "animated emoji" feature coming to iOS 11 this month which changes appearance based on your facial expressions. Update: Animoji has been announced and here's what we know. 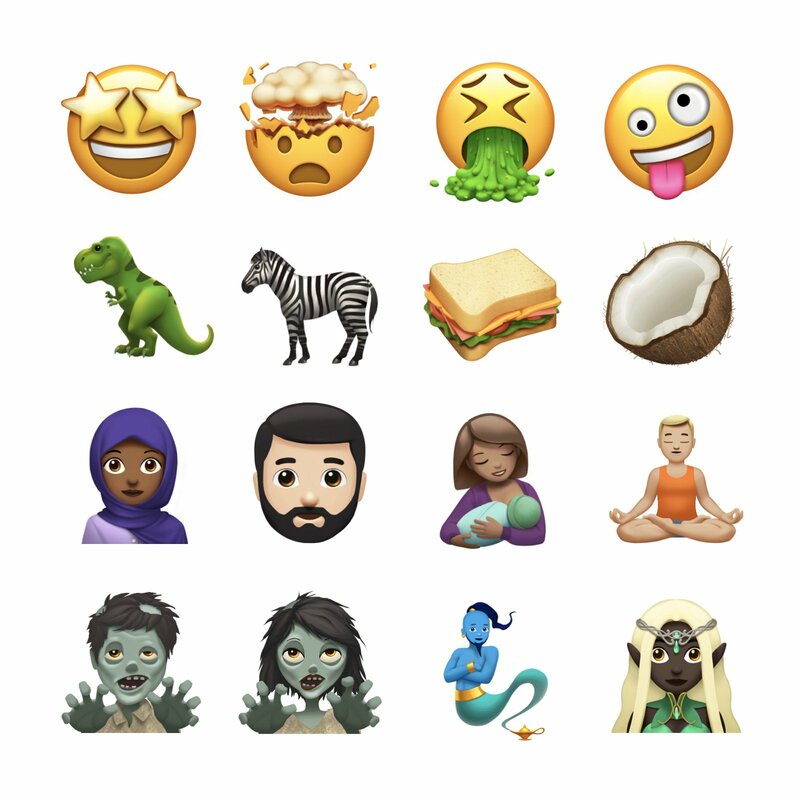 Above: Animojis reacting to user facial expressions. Image: 9to5Mac / Composite. This appears to be similar to the watchOS "animated emoji" feature which is promoted as an emoji but in fact is an image being sent over-the-air like a sticker. While this is speculation at this stage, this Animoji feature likely won't have any bearing on how regular emojis are used or displayed in inline text, and instead would work more like Bitmoji or other "emoji branded" sticker packs like Kimoji. This appears to be an entirely new feature, that could be used either for messaging, or as a novelty addition to any content creation tools on iOS. So rest easy anyone who doesn't want their existing emojis jumping off the screen: that seems unlikely with this feature. Above: Apple Watch "animated emoji" feature is a predecessor to this new feature. iOS 10.2 replaced all of the existing emoji artwork (except flags) in 2016, and it appeared that the new designs had been created in 3D then rendered as 2D for the font. A ton (most? all?) of these are 3D rendered, too. I bet this job took an extremely long time. They've all been replaced. Above: Apple has previewed new emojis coming to iOS by the end of 2017. A special event is being held on September 12 where Apple is expected to unveil a new iPhone. Whether Animoji and/or new emoji support is revealed or released at this event is not yet known.